Learn easy routines and fun activities from the Sanford Harmony SEL Program to build supportive relationships in your afterschool program! 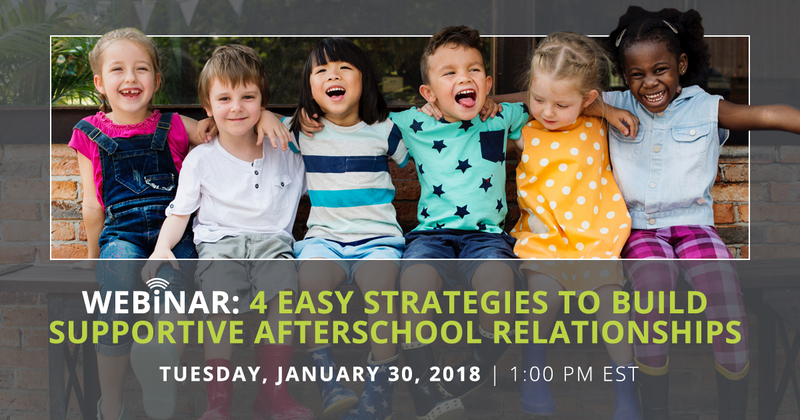 We’ll share how to gather your students for “Meet Up” to increase respect, kindness and teamwork and how to use “Buddy Up” activities to help your students build new friendships. You’ll also enjoy free giveaways and discover how to bring Harmony materials and training to your afterschool program for no cost! Sanford Harmony is a Pre-K - 6th grade SEL program that fosters respect, kindness and empathy and decreases teasing and bullying. Students practice communication skills and learn to regulate emotions as they connect, collaborate, and problem solve. The Harmony Program is donated to schools and afterschool programs at no cost by Philanthropist Denny Sanford.